TRS provides program management, consulting, and analysis to government and commercial clients. 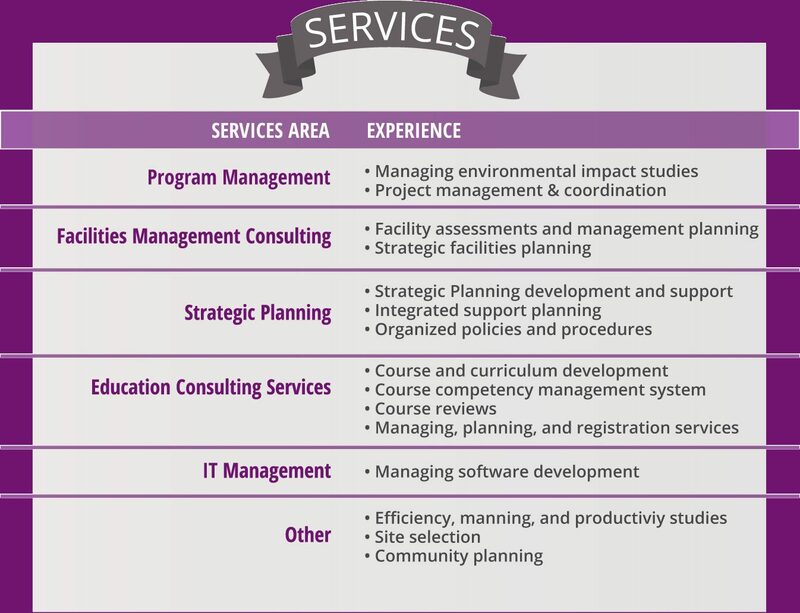 Our services include program management, strategic planning, education consulting services, and facilities management consulting. With 65+ years of combined experience in the Defense community, our experience is your asset. We add value by matching and applying our experience to help you achieve your objectives. We strive to provide practical solutions using analytical research and our team of experts. Ultimately, our primary focus is to bring our clients high quality solutions to accomplish their goals. TRS provides resources and analysis to help clients create and manage a project successfully, efficiently, and effectively. TRS has extensive experience in planning strategic facilities support at all levels. We know that every successful project needs a strategy for reaching its goals. As a thought partner, we can help you create a plan that helps you achieve your goals. TRS offers course and curriculum development and course reviews.